Language can be extremely simple and unfettered; if we could only speak in nonsensical vocalizations and hand gestures, we would still have a high likelihood of communicating how we are feeling to virtually every human being on earth – maybe even some animals too! We also know that language is incredibly complex – different tones applied to the same words create different meanings in Mandarin. A missed accent on certain words in Spanish can make a sentence comical – or embarrassing! Ultimately, language is the technology of connection with other people. The beauty of language is in the sharing of it – I think it is the backbone of every family, community, and culture. The realm we navigate as language teachers and learners (teachers are learners too!) is that of reaching across cultural, geographic, and communication barriers to connect with people in a meaningful, personal way. Without knowledge of their language, we will not have full access to their values, their humor, their culture. Anyone who has ever worked hard to learn a new language shares the incredible joy that results from those first conversations with a native speaker. The sooner we are able to connect our students with native speakers – locally and globally – the sooner they will begin developing the adaptive skill set necessary to developing fluency (just what “fluency” is merits a post of its own). Online platforms like WordPress and Blogspot are free, user-friendly vehicles for students to generate material and “publish” it on the world wide web – here is an incredible example of an English class in Southern California where every student maintains a blog. Blogs allow kids to post writing and videos to serve as an ongoing growth portfolio – which can represent a body of work after four years of high school – as well as provide opportunities for peer evaluation of speaking, writing, and overall creative presentation. Want a quick way to build a global cohort of people interested in similar things? Join Twitter. Here is one example of how a college professor is using Twitter in her language classes. One funny thing worth noting: even when her students tweet complaints about the homework assigned, they are still doing their homework by tweeting in the target language! 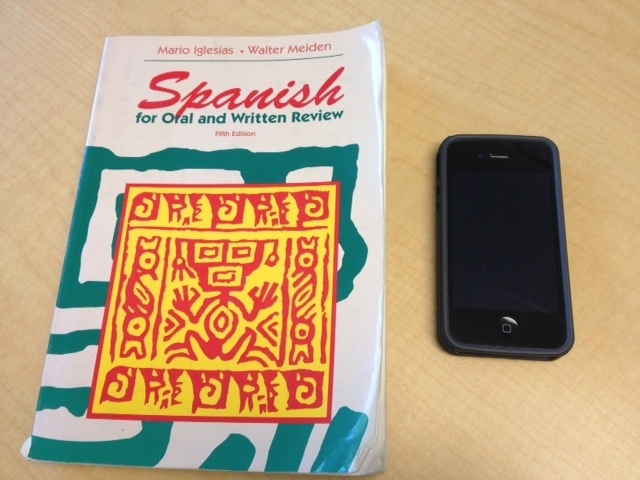 This is another portal into the “global campus” of learning that can turn a smart phone into a textbook. This is equally true for students and teachers (reminder – teachers are learners too!). Paper.li and Storify are two platforms that allow us to harvest and curate information from the web (or Twitter) to create a digital “newspaper” and embed it anywhere (like Twitter!). Rather than going through verb drills in class, why not save every last precious moment of class time for person-person interaction, teacher modeling of complex language, etc.? The “flipped” model of learning has students accessing new content via web tutorial outside of class, and utilizing class time to collaborate with peers and apply concepts learned. Lots of screencasting software programs exist (Camtasia, Jing, Snagit) that allow teachers to record their lesson/lecture, have students watch it as many times as they need to absorb the material at their own pace, and facilitate classroom experiences that are about students creating new knowledge together rather than passively receiving it. Are language teachers leading the way with new and emerging technologies? A recent article in the Guardian illustrates some great examples. Our “fluency” and adapativeness with these technologies shouldn’t be a stretch for us – after all, it’s what we do for a living with one of the oldest technologies around. Reblogged this on profesora sarah.